Baltic oil shales–kukersites were studied as an example of rocks with rock-forming organic matter (OM). The volumetric significance of their OM is shown (due to the low density) in the volume and thickness of the shale layers. A higher OM content is responsible for a lower strength of the shales relative to the carbonate rocks of the deposit. The variable OM contents and other heterogeneities of the shale layers (structure, nodules, etc.) are factors of the mosaic distribution of areas with different density–strength properties and, as a result, of uneven reduction of layers and their deformation in the case of OM loss (full or partial). 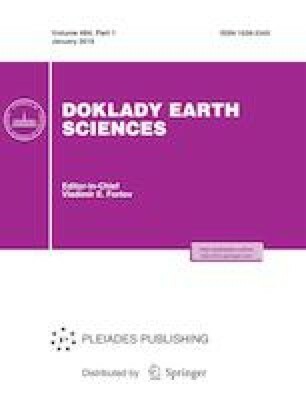 It is concluded that the intercalation of kukersite and limestone layers leads to density and strength anisotropy of the shale deposit. Episodic loss of OM and carbonates by the shales is considered for the local areas of the deposit: here, kukersites contain only a terrigenous component with clasts of limestones, shales, and epigenetic sulfides. The loss of OM is explained by sulfate-reduction processes in the underground hydrosphere.